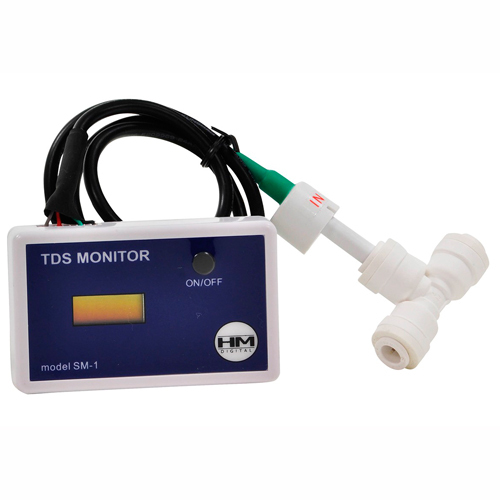 Brief Description: Displays TDS level of a single water line. Ideal for any water filtration system, including reverse osmosis systems, coolers and much more. Notify me when "Single In-Line TDS Meter w/T-Fitting" is re-stocked. Comes equipped with Mur-lok® Quick-Connect T-fitting (1/4 inch standard, also available in 3/8" or 1/2" ).